i.e. If the first option is Charts, then that sub-menu will be expanded. If there are no charts and the first option is Exports, then exports will be expanded. Previously, the user would need to manually click the section to see options. 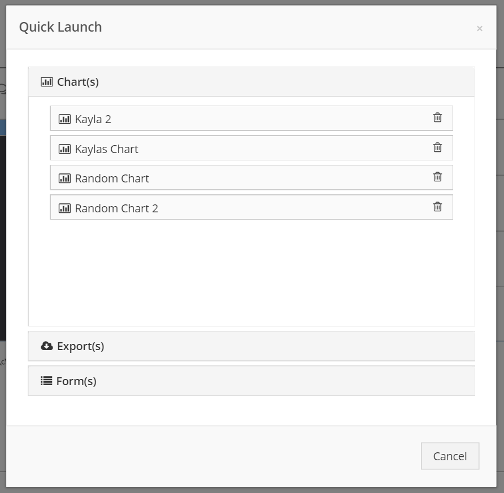 Now, Quick Launch will open the first list containing available options.